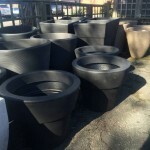 The nursery is overflowing wit h planters, birdbaths, and some statuary pieces, and the other day yet another shipment arrived, these from a new supplier. 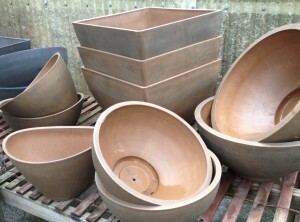 Most are midsized, and they’re all light-weight with clean lines, something many of our customers have been requesting. 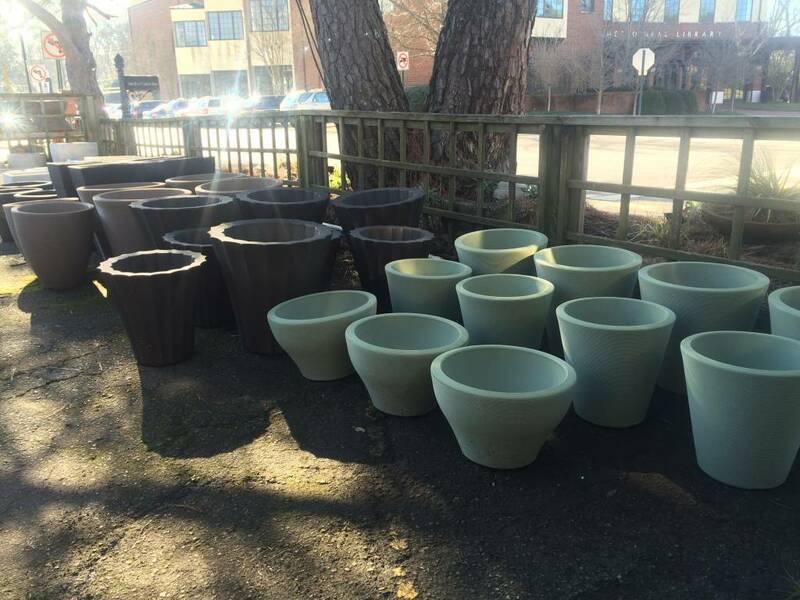 The previous orders consisted of lighter colored pots, some stone, and terra cotta. 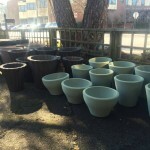 This shipment is, for the most part, darker colors, but there’s also a pretty minty green offering too that I think would be fabulous planted with lots of flowers for the perfect Mother’s Day (or any day) gift. 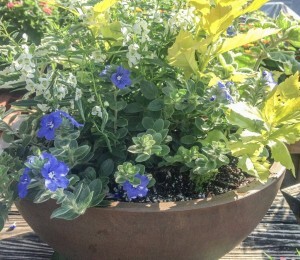 So, if you’re in the area, stop in and take a look. 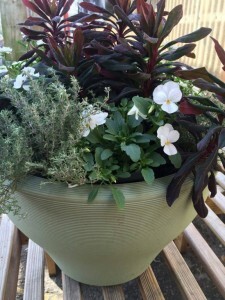 There might be something that is just right for your home and landscape. And, since most are light-weight, you’ll be able to take them with you! 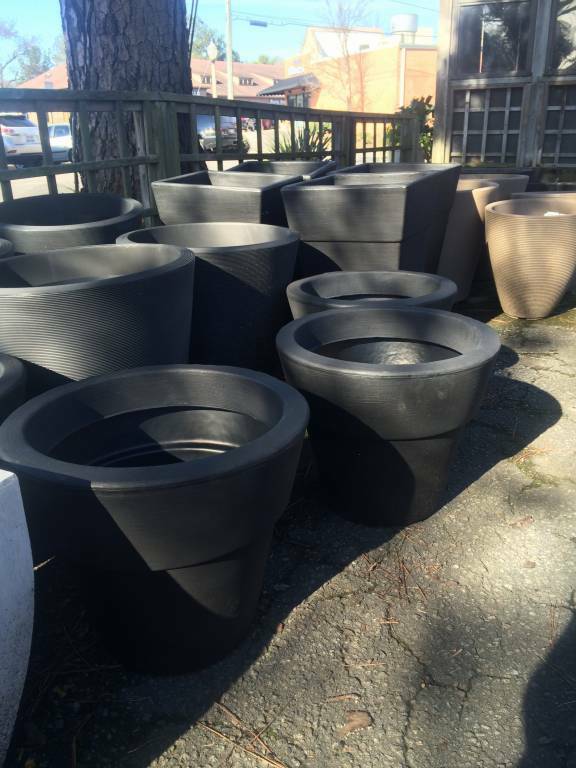 This entry was posted in Container, Garden Statuary and tagged crescent garden planters, lightweight planters, spring 2016 planters on February 2, 2016 by Kris Blevons. 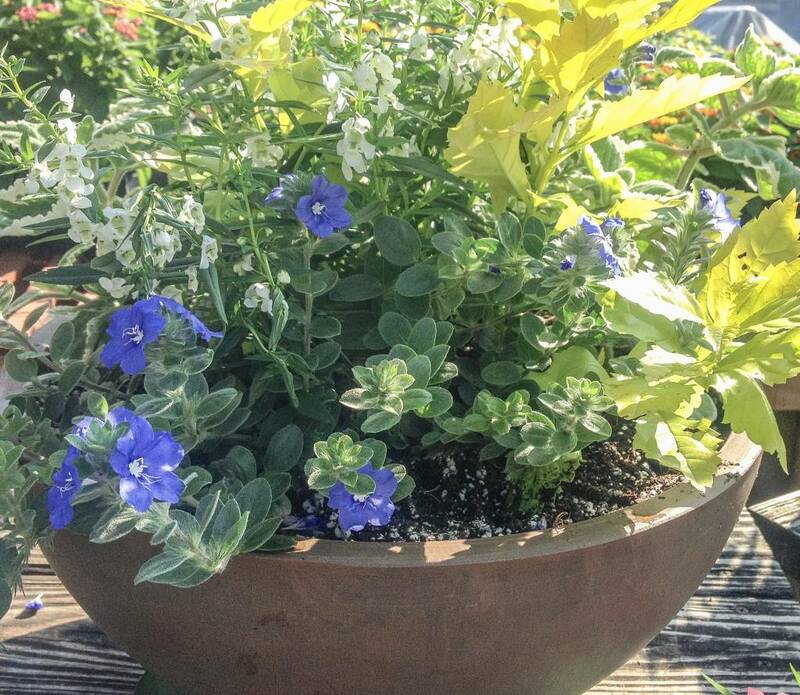 Spring Statuary Shipments Have Arrived! 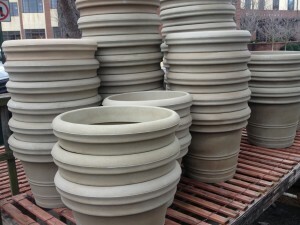 Each year, the arrival of the spring statuary shipment signals the beginning of a new growing season. 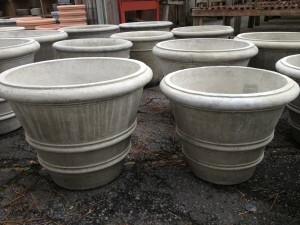 We like the way the clean lines of these planters work in the context of a variety of home styles. 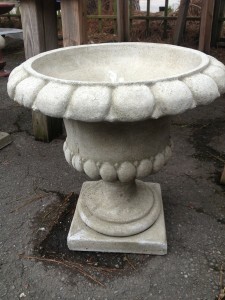 The cast stone pieces are of the highest quality and won’t crumble in inclement weather like cheaper versions. 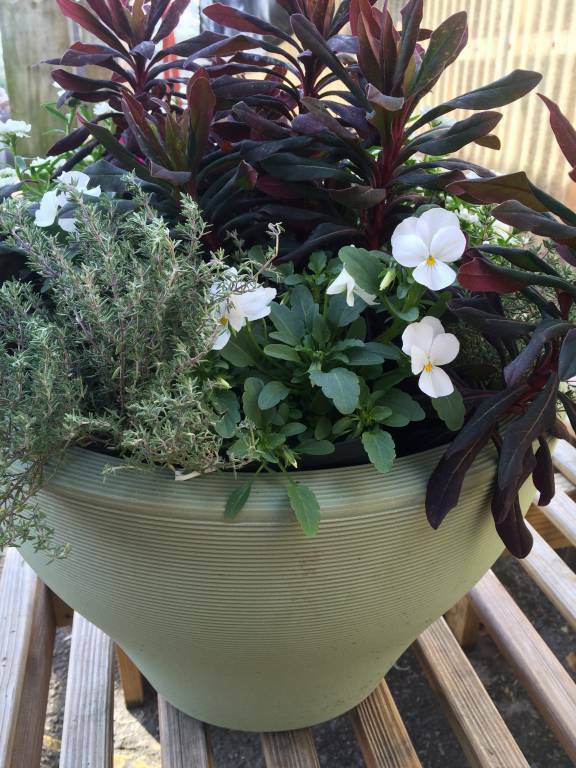 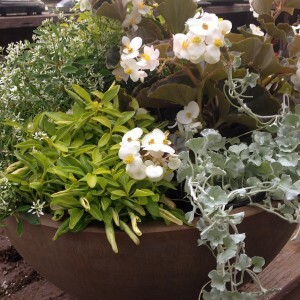 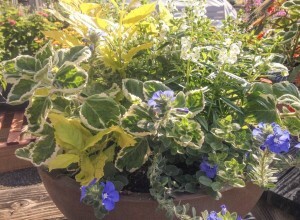 We also offer lightweight planters – easier on the back but still the same quality. 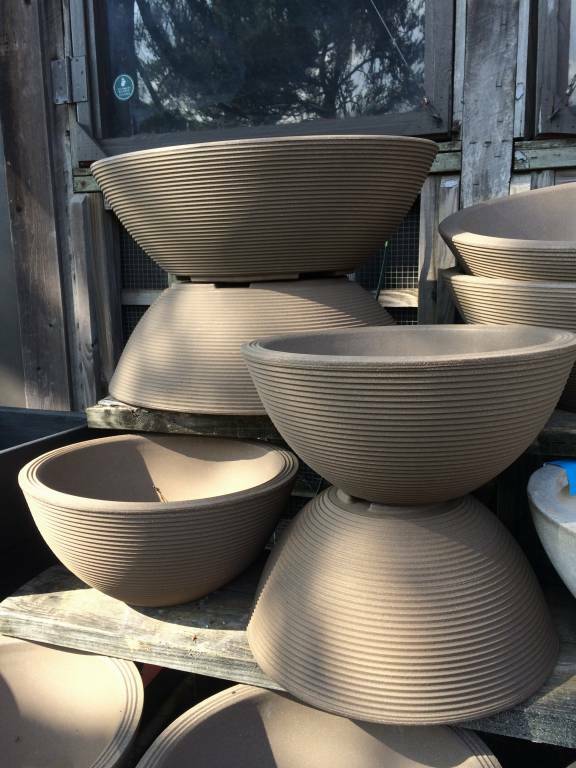 Ranging from bowl shaped planters to those that are a classic pot shape, they are definitely moveable! 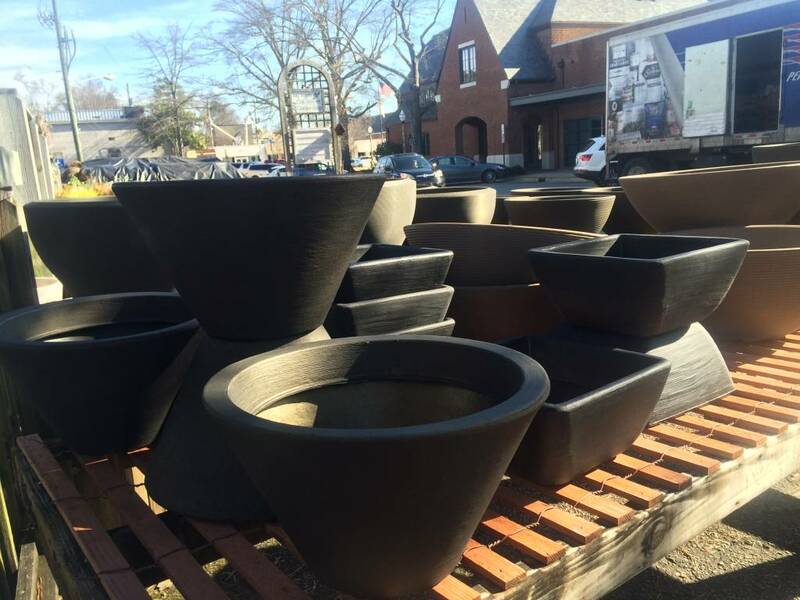 So, whatever you’re looking for…planters, bird baths, or something else – perhaps a Japanese lantern, celtic cross or Saint Francis, come take a look. Don’t worry about getting them home – we deliver! 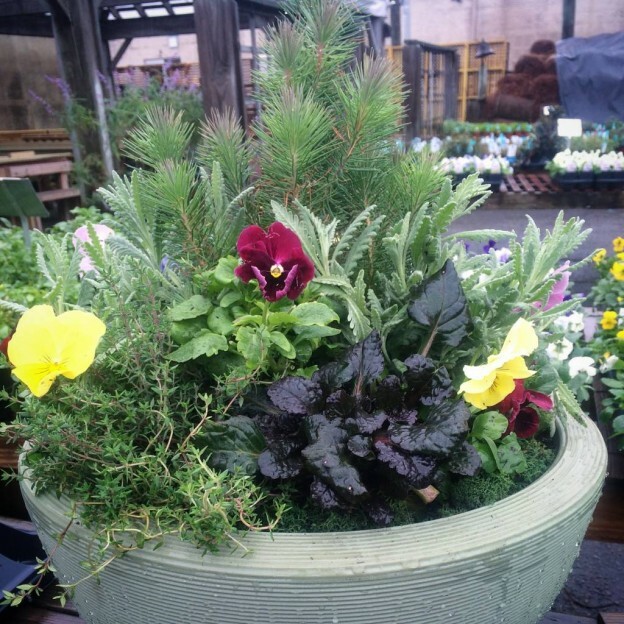 We’ll put them just where you want them at your front door or along a garden path…then you can sit back and enjoy! 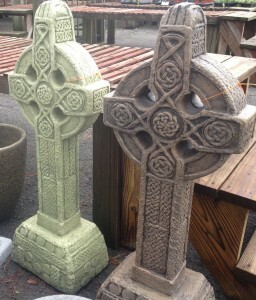 This entry was posted in Spring, Statuary and tagged cast stone, celtic cross, deliver, japanese lantern, lightweight planters, spring shipments on March 2, 2013 by Kris Blevons.